As you know, we are huge supporters of people and companies doing great things in our community! Today, we are beyond thrilled to share with you a great story about a very special young woman — Gaby Fuentes. 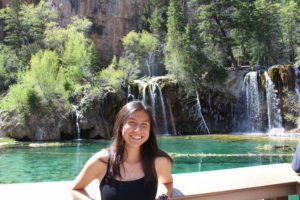 Gaby is an honor student at Eagle Valley High School, a dedicated athlete (basketball, track and cross-country), participates in SOS Outreach (a youth development non-profit) and is actively involved in Children Global Alliance. Yes, she’s only in high-school and is already doing so many amazing things for her school, community and world! Gaby was recently chosen to be a part of a service trip to Morocco this year with Children’s Global Alliance, a nonprofit organization. She has been working hard at a local corner store in town to reach her fundraising goal of $3,500, which will cover her cost to participate. are the most eager to learn, from grades 7-9. The school is home to 520 students and has a high-dropout rate. She is extremely excited to be teaching English in a team to these students who want to learn our language and be admired. only around ten students selected for each trip. From essays to interviews they want to know that you are mentally, and physically ready to take on the challenge, and Gabby is ready to gain knowledge not just from what she will teach but by what she’s taught, because there is no scale that could measure her love of going on these service trips. “To go to Morocco, would be a great experience for me, and would show me the best of the world, how it interacts with one other to create balance on our earth. I believe that everyone needs a great life, and must live it to the fullest. I have traveled previously to Japan as an exchange student, it changed my perspective, and opened my eyes, in the short month that I was there. I have done three other service trips as well, two of them with this same organization. 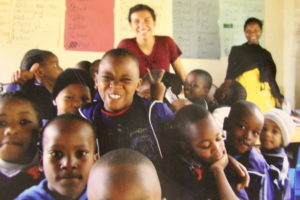 I traveled to Tanzania, in which I taught to some beautiful souls that were so eager to gain knowledge. As part of the program, Gaby is responsible for fundraising. She is required to raise $3,500. She is asking any business or families in our community who are willing to donate to please help! After placing the amount, under the donation amount type Gaby Fuentes. On behalf of everyone at PCW, we want to thank Gaby! It’s amazing to see a young adult striving to make a positive difference in our world! Gaby, we appreciate you and are so grateful to have people like you in our community.